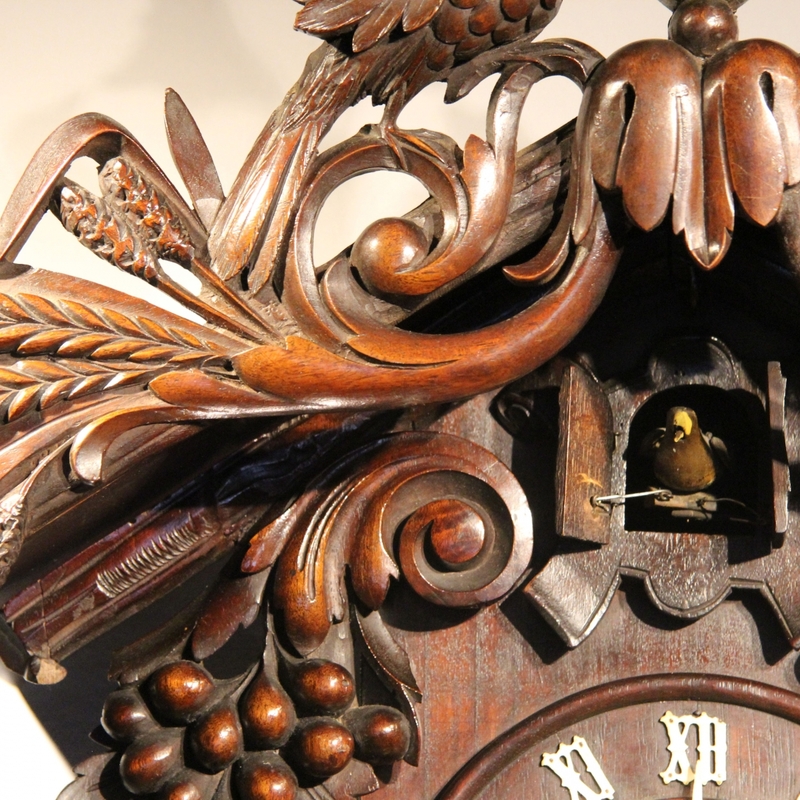 Rare Black Forest Cuckoo clock. An extremely attractive and imposing cuckoo clock. The eight day duration, double gut fusee, wooden framed movement with Anchor Recoil escapement, concealed pendulum and also, select levers for separate cuckoo and striking silent accessed via a side door. 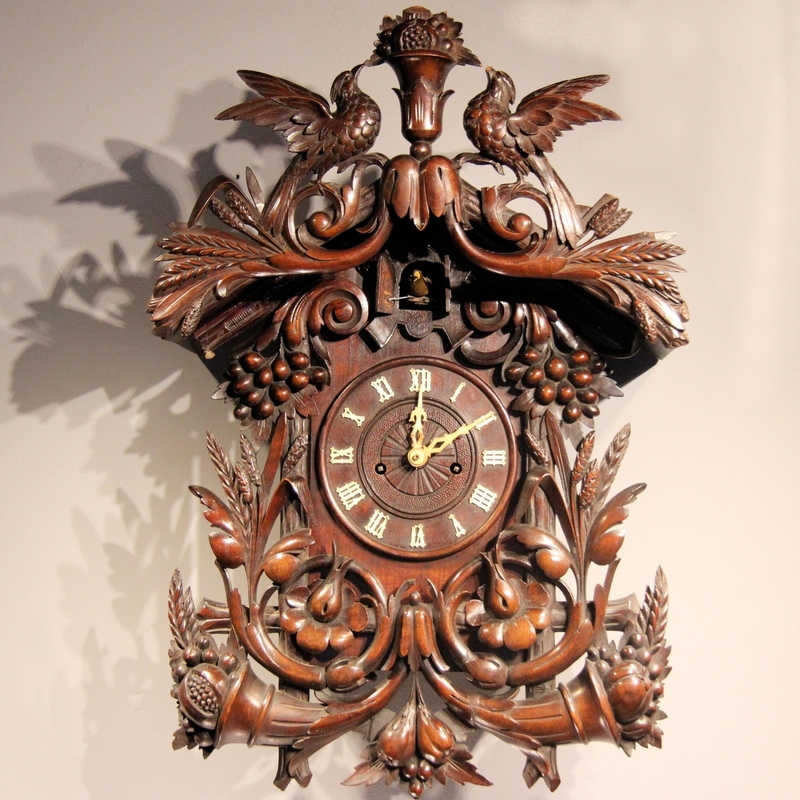 Contained in a well-executed and hand-carved, Black Forest walnut case depicting Springtime harvest. 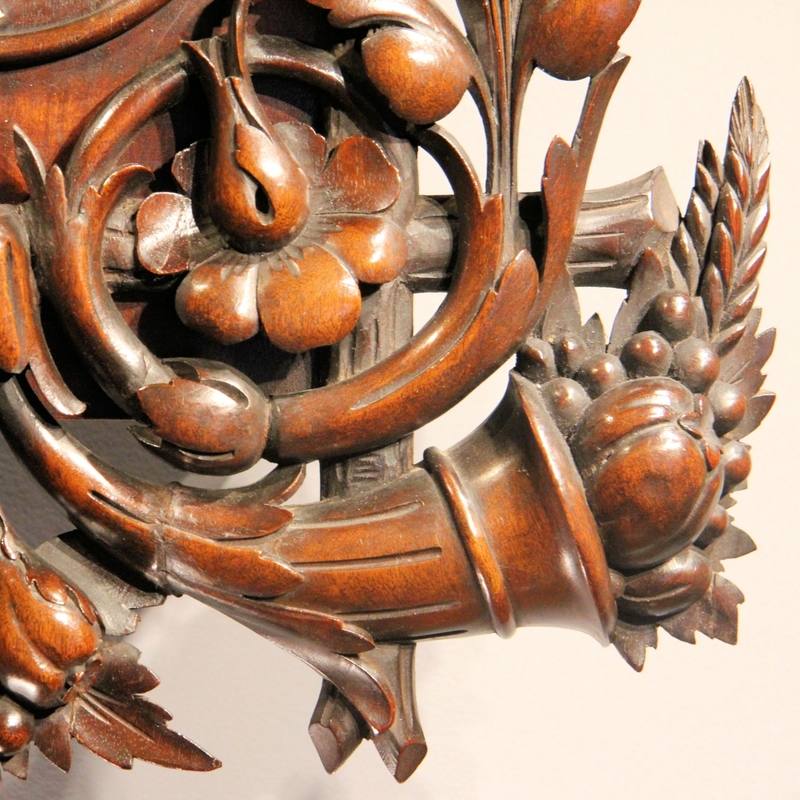 The profuse carving displays reaped crops, berries and nuts and the pediment is also mounted with a pair of Cuckoo's taking fruit from a vase. The large hand painted and articulated Cuckoo emerges from double doors above a 6 1/2" diameter dial with bone Roman Numerals and carved hands. The Cuckoo bellows and gong sound the hours and halfs. * This is a serious and collectable clock. It was not cheaply made for the tourist market and having a double fusee movement means that it has a duration of eight days and there are no chains hanging beneath. This means that it can be hung at any height and above furniture. Usually only the striking train is fusee so that the gong and bellow operation does not slow down, both trains being fusee is extremely rare. 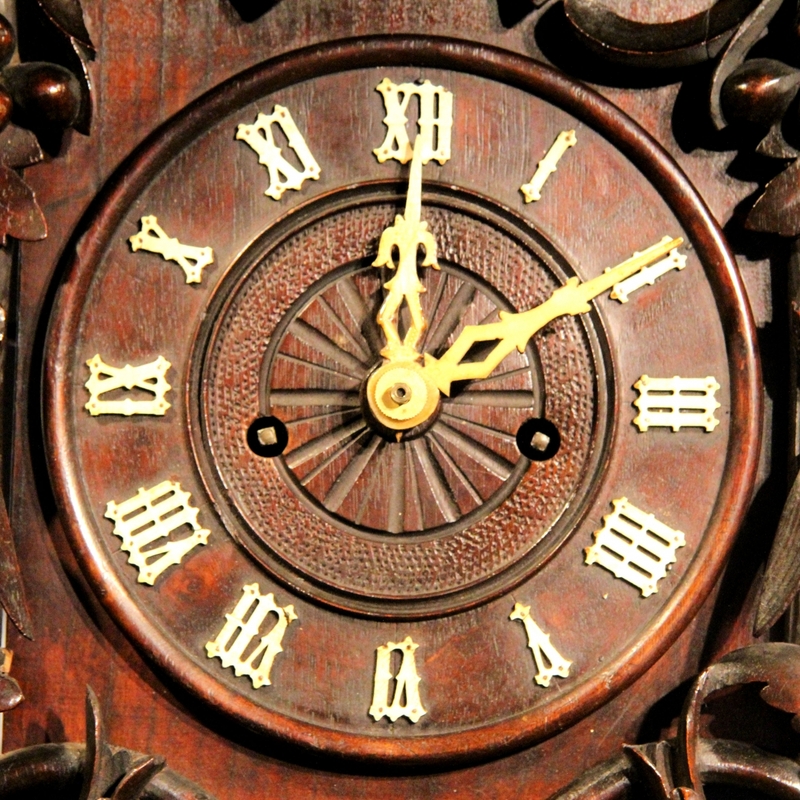 This clock was designed as a main feature for a room and though not yet polished by us, it is of good colour and patination. Small areas of carving are broken which is usual but, all of these will be corrected. 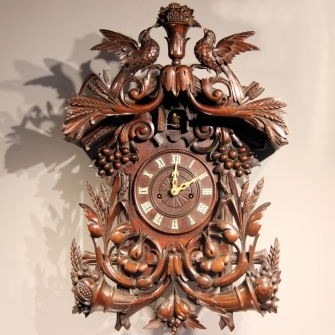 ** It is more desirable and rarer for a clock such as this to have a harvest theme rather than a hunting theme as carved, dead game is generally viewed unpleasant. Dimensions: 27" high x 17" wide x 13" deep. Condition: Very good, awaiting restoration.